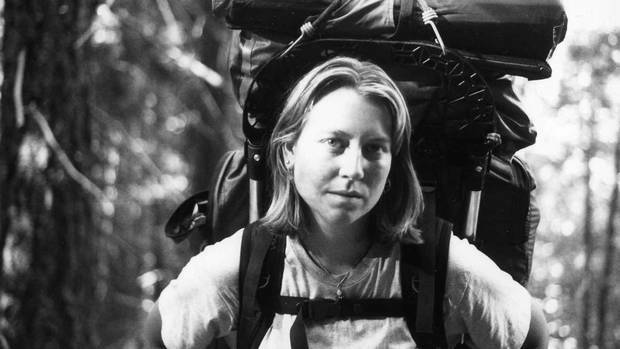 I often wonder about what compels a person to pursue a risky pastime, whether it is climbing mountains; base jumping, hang gliding or in Strayed’s case, hiking the Pacific Crest Trail on her own. Strayed, you learn rather quickly is a normal person yet rather extraordinary. Extraordinary in her outlook on life and her perseverance on the grueling task ahead, she writes “…How can a book describe the psychological factors a person must prepare for…The despair, the alienation, the anxiety and especially the pain, both physical and mental…” Having absolutely no experience in extreme hiking or the wilderness ahead of her, the real question therefore is not “whatcompels a person?” so much as” what kind“of person pursues the PCT on a whim whilst buying a snow shovel? The answer, or thereabouts; is a naïve, determined, strong and courageous one. Strayed sets out on a journey to find herself, pardon the all too often used description of that life changing journey, but that is what it truly is. After her mother’s death, her life veers off track; her family ties disintegrate, her marriage breaks down and the Pacific Crest Trail lights up like a beacon of salvation. But how does turning to a dusty then snow laden track, populated by lingering precipices; mountain lions, bears, ferocious bears, looming rattle snakes, sexual predators and the impending threat of dying from dehydration, promise to save one’s life? Yet it is these very threats that make her treasure and hold onto the life that she had lost faith in, she is constantly seeking solitude, to get away from “life” but in fact, she finds that she is irrevocably tied to it. This addictive read is not only beautifully written, it captures the beautiful and sublime in human nature as well as the landscape around her. Strayed makes it easy for the reader to become entirely lost in her emotion, determination and the clarity which is often found from walking through and away the smog of life. At times, walking the PCT with her back pack which she names Monster (larger than army backpacks) appears as though she has declared war upon herself. By the fourth day, she is unbelievably injured and by the end of the journey, she has peeled away a number of toenails and the skin on her hips have been rubbed away and morphed into leather. Whilst seeking solitude, Strayed falls into the hands of strangers who offer her such kindness that it reignites her belief in others. It’s hard not to close this book after taking part in Strayed’s journey with deeply felt sigh and relief and to be able to finally set Monster down. Strayed touches many lives with her story, ours as well as the people she crossed paths with on trail. A huge THANK YOU to the author for sharing. This books is worth so much more than I paid for it, so much more than I could pay for it.